Home Social Issues Holidays Can Souls “Cross Over” on Halloween? Ep.942: Can Souls “Cross Over” on Halloween? So, what is Halloween about anyway? Is it all about the costumes, the candy and the parties? Is it all about the social connections of people actually seeing and talking to other people or the excited grade school kid who gets to dress up like a video game hero? Or is Halloween all about the dead? Is it all about communication with the spirit world, fire festivals and the dark arts? Can dead souls really “cross over” the boundary of our physical world on this unique night? What is real and what is not? Where did this all start and what has it become? There is a lot more to this than you might think! Okay, to begin with, souls cannot cross over on Halloween night (or any other night!). The Bible is emphatic that death is the absence of life and this obviously does not mesh with any kind of crossing over. This is a fabricated tradition of pagan origin dating back to ancient Celtic traditions. In those pagan traditions, the changing of seasons always sparked religious reaction, for paganism is an earth-based belief system and a seasonal change was a major earth event that needed attention. The Autumn solstice was the night when it was believed the veil between our physical world and the spirit world was thinnest and that the souls of the dead could come back to the physical earth. This is where the traditions of bonfires, costumes and lighted pumpkins (though in their culture they were candlelit turnips) came from. All of that is fascinating, but what really caught my attention about this Halloween thing is that it is described as a “liminal” event. Now, I admit that before preparing for this podcast, I was not aware of what “liminal” even meant, so here is what I learned: Liminal has to do with being "in between," with crossing a threshold from one place, state of being or condition to another. Being engaged to be married is a liminal experience – so is pregnancy, going to college, applying for a new job, etc. With all of these things we are in the process of crossing a threshold – no longer fully in the security of our previous experience but not yet fully integrated into our new one. 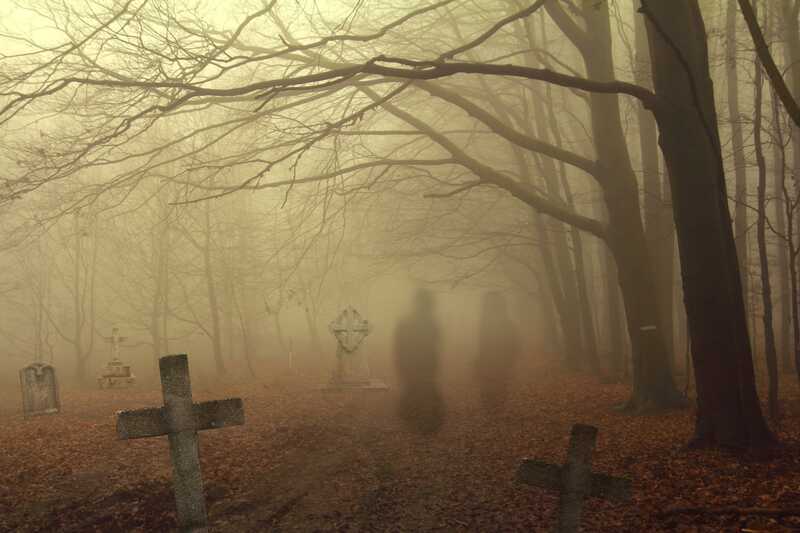 In the world of horror fiction (And I am stressing fiction here), zombies, ghosts and spirits are liminal in that they are all in-between worlds. The old 1950’s TV series “The Twilight Zone” always pictured a door (symbolizing a threshold) in its program opening and it always focused on being in between man’s conscious and subconscious mind. So, here is the catch. Whenever we are in a liminal state we are more vulnerable to outside influence, be it for good or evil. Satan knows this and as we look at biblical history we can see how he always seems to be hanging around the thresholds of our lives, just waiting to influence and snare anyone who is not watchful. If you think about this, it can be very unnerving, because most of us are just trying to get through whatever transition we are facing, nevermind fighting against evil spiritual influences. The good news is that God is the author of liminal experiences and has given us many ways to be safeguarded as we experience them. Check out our October 31, 2016 podcast, “Can Souls 'Cross Over' on Halloween?” and fill in the gaps to better understand this important and really fascinating subject. Knowledge is power and that power is available to you – you just need to go get it! previous Is Suicide an Unforgivable Sin? 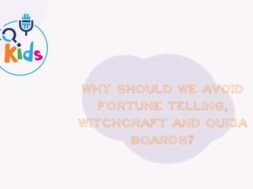 VIDEO: CQ Kids: Why Should We Avoid Fortune Telling, Witchcraft and Ouija boards? 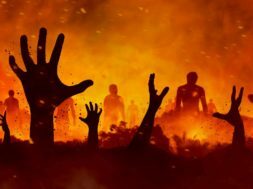 Can Zombies Possibly Be Real?